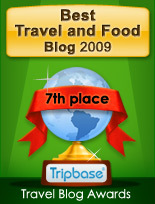 Enjoy - Food & Travel: And now to something completely different - pomology! And now to something completely different - pomology! Pomology is the branch of botany that studies and cultivates fruit. 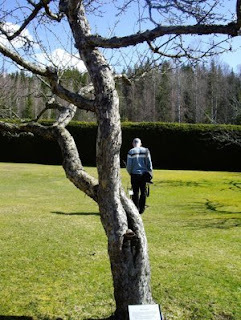 This hitherto unknown word to me, was presented to me by my friend Terje, former gardener, now cook, during our walk through the gardens at Mårbacka - home of Nobel Laureate Selma Lagerlöf. We had this horticultural talk when entering the orchard. 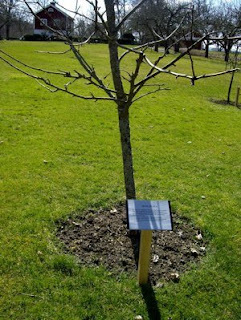 It consisted of many different apple trees / varieties, some old and some newer, some known and most of them unknown. 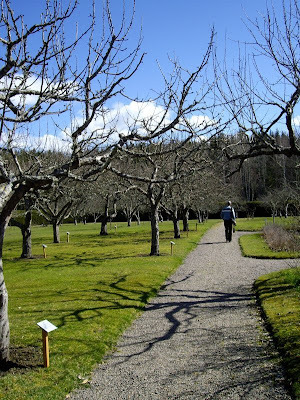 This orchard was run commercially in Selma Lagerlöf's lifetime. Most of the trees that grow in her garden today, were not there when she lived. They were far too small. I will lead you through the wonderful world of apples in this small lesson in pomology. Åkerö is a variety that I actually know, but I did not know its history. It originates from the Netherlands and was imported to Sweden in 1759. From that point it was cultivated in Sweden for a century until it was named Åkerö in 1858. 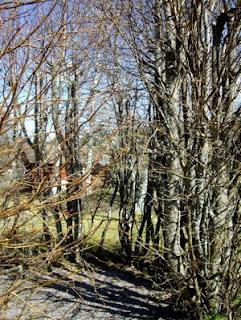 Åkerö is found in many sub varieties. The fruit is medium large and has a fine balance between sweetness and acidity, ripens in November and may be stored into the new year. It is robust, but may often be attacked by a a cancerous conditions. This variety is local, named after Risäter farm in Norda Råda parish in Värmland county. 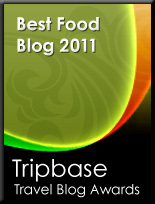 It was created here and the variety started to spread beyond the farm in 1870. By 1940 the Risäter variety was grown all over Sweden. It ripens in October to December, depending on climatic zone. It is a robust variety and resistant to pests. Maglemer is a Danish variety, but its origins are most likely found elsewhere. The oldest provenance of this variety was Maglemer on the Danish island of Lolland, where it was grown over 200 years ago. In Sweden the variety has been grown since the beginning of the 20th century. The apples are small with a succulent consistency. It grows very slowly and it take long tine before it starts to bear fruit. It may be harvested rather late, in November and may be stored for around three months. There are several accounts of where this variety comes from. One is that it was propagated in 1866 in Horsens at Jutland in Denmark. From here it was spread to a nursery in Korsør on Zealand, to conquer Sweden where it became extremely popular in the 1890s. It bears a large apple, succulent with a wonderful sweet taste. It may be harvested in November, but from then you should use it quickly, as it keeps around one month. It is robust, but may get an illness created by a fungus Venturia dendritica. Toddylunden is the oldest part of the park at Mårbacka. It was in fact created by her father Lieutenan Erik Gustav Lagerlöf. He died in 1885, and Mårbacka was sold. This part of the park predates the period when she bought the farm back and restored the gardens and the house. 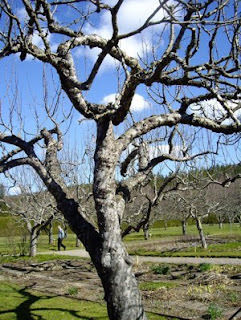 Selma Lagerlöf tells of how her father commissioned the garden from an old gardener that had created many gardens in Fryksdalen. He recommended the lieutenant to leave the strict French style in gardening and commission an informal English garden. 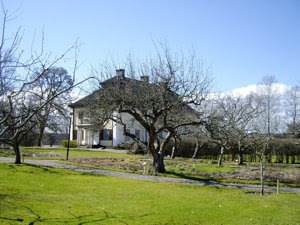 Toddylunden is the only part of the old English garden left at Mårbacka.